Drain clogs are very disruptive and impact your daily life, hair clogs, grease clogs, root clogs, they are all bad and disruptive. When the plungers and the drain cleaning liquid have failed, The Rooter Drain Expert will succeed! We are the local Porter Ranch Plumbers. We know homeowners rely on their showers, toilets, and sinks everyday, so we offer you a fast response and the best tools for plumbers available. You check out our tools by visiting their designated pages. 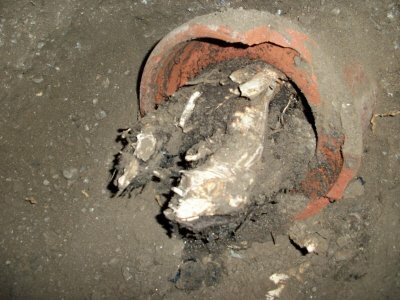 Root intrusions are the most devastating problem a sewer line can have. Generally, Homeowners will discover they have a root problem when they have a total stoppage and emergency service is necessary. However, there are preventive services that can help prepare yourself with scheduled maintenance. Check our Sewer Camera Inspection service, and learn how a camera inspection helps us diagnose if you have root problems. Something really important to know is that roots can grow hundreds of feet underground so even if you don’t have a tree in your property, your neighbor or even someone 800 feet apart from your property might have one. 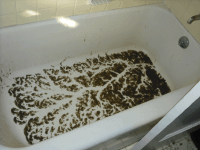 Roots are naturally programmed to follow water beds, and sewer lines even thou they’re artificial water channels, they still trigger roots to intrude into your line. We can solve root problems by replacing your old clay pipe with a new ABS plastic pipe which does not have any joints and it is very flexible ( it does not break easily during earthquakes.). Learn more about our sewer pipe replacement methods. Camera Inspections give us inside look at what is happening inside your sewer’s pipe. Trench-less Pipe Replacement can reduce excavations by up to 95% and it save you money, your landscape, or drive way. Trench-less is one of the best options to sewer pipe replacement. We offer our Porter Ranch Clients with the best customer services and prices with less overhead in the plumbing business. We are a local plumbing company, not a big corporation and for that reason, we can offer you the prices and personalized customer services that big corporations cannot match. We are the Porter Ranch plumbers and we see our clients as members of our communities, that’s why we put so much care into offering good customer service and prices.